Traveling to Paris just got easier with the Paris Metro Pass. It is an excellent way to save money and stretch the budget when it comes to transportation. There’s no worrying about renting a car, hailing a taxi, or spending a fortune to get from one part of the city to the next. The Paris Metro Pass is one low, affordable price and provides access to the many forms of public transportation in the city. Travelers will have access without limits to the tram system, the Paris Metro or train system, the public bus system of Paris, and the RER or overground train system. Coming in to the city from the airport or going out has never been simpler with the many forms of transportation available with a flash of the Paris Metro Pass. Tourists need not trouble themselves about how they will manage to get to their hotel after a long and exhausting flight. They can catch a tram, bus, or train in no time. When it is time to plan their travel itinerary for the day, the Paris Metro pass is at the ready. They simply need to look at their map of the city and plot their points of interest. There will be no hassles of renting a car and trying to navigate an unfamiliar city. >> One of the best advantages with the Paris Metro Pass is the ability to purchase a special package that includes admission to numerous museums, monuments, and attractions in the city. >> The price is much cheaper than paying separately for all of the favorite sites that are popular among tourists plus there is no waiting in line. >> Purchasing the pass is the perfect way to travel when with a large group or the family as the reduction on costs is phenomenal. A family can sit down and consider all of the exciting opportunities that are open to them through use of the pass. A bus tour of Paris, a French wine tasting tour, a boat journey on the Seine, a visit to the Eiffel Tower, and a trip to the Louvre name only a few of the options that are available. 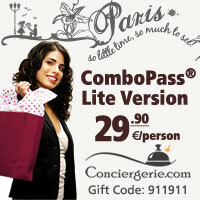 >> Children can also have a Paris Metro Pass at a reduced price. For anyone considering a trip to Paris in the near future, the Paris Metro Pass is definitely worth the investment and will make the experience so much more enjoyable.